Ohhhh...I'm sooooo tired! And I'm sure my little one is even worse off due to having a disorder that predisposes her to fatigue and muscle weakness. But she can't tell me how she feels...all I know is that I'm exhausted! Four nights of sleeping on a sofa for 30min intervals...I'm beat! 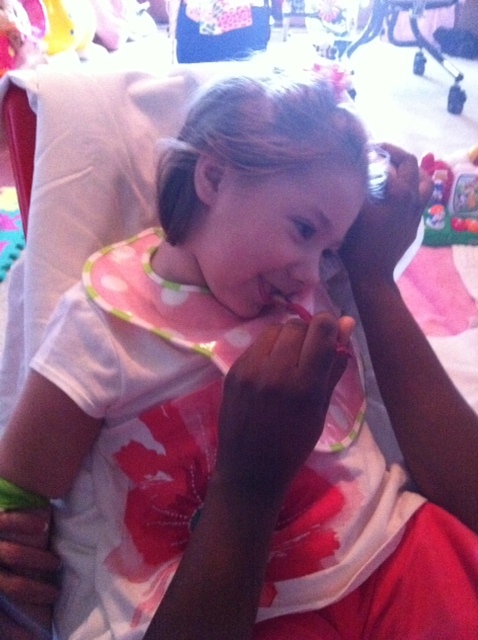 The laughs are back today and Reagan seems to be feeling better, that is, except for the extreme nausea! She's been super gaggy today, constantly trying to manage the overflow of spit in her mouth. She's thrown up and retched quite a few times, but not nonstop. It's definitely much worse than it was during her last bad cycle but not as bad as the cycles before that. She's making a lot more gaggy faces, than actually throwing up. I'm not a fan of either, really. Her hands and feet are still cold and clammy. We were able to finally take her arm restraints off today (she's not biting anymore), although we are still having to keep her left hand covered because she is sticking her fingers in her mouth and gagging herself! She's trouble! Tomorrow she's scheduled for the gastric emptying scan...basically to see if her stomach motility is the same or worse since starting her feeds through her j-tube only. The doctor requested a 6hr scan but there seems to be some controversy as to whether it's even worth doing anything longer than the typical 1.5hr scan. I guess we'll see tomorrow what the final decision was. I'm hoping the nausea is completely gone by then, otherwise we're going to have some serious issues trying to put something in through her g-tube (I'm guessing it will just come right back up if she's still having even the slightest bit of nausea). Please keep that in your prayers that everything works out and she's feeling much better by tomorrow (and preferably sleepy). I really hope she sleeps tonight because I am seriously running on fumes! Not to mention the fact that we have to leave before 7am tomorrow to head in to the hospital! Last night was another one of those nights. We both started off in our own beds but that only lasted 30min or so and from then on she slept in her chair and I slept on the sofa! Reagan was asleep, awake, asleep, awake, asleep, awake. It was a loooooong night. Today she's been about the same as yesterday. She's still very tense, having lots of chorea (even some of the little episodes of chorea where it seems like she's running...I haven't seen that in a while). Even though she's calm, her heartrate is staying ridiculously high because of all the chorea (ranging from 130-178 and not going any lower than 115 even with propranolol). Her hands and feet are still super cold and clammy, although for short periods one or both of her hands warm up and feel almost normal. She's still very zoned out and not interacting with us or her surroundings (except for the occasional laugh at a loud noise). She also seems really pale and looks a little sickly. I spoke to her neurologist a couple days ago and he said that her bloodwork from last Friday indicated that she might be fighting a viral infection (because her lymphocytes were elevated). I'm not sure if that has anything to do with what she's going through now or not...since on Friday she was still having good days and seemed fine. Tonight she started getting nauseous. She's been making a lot of gagging faces and is more spitty than she's been in previous days. I drained some foam from her g-tube but no liquid came out. Hopefully we're almost done with this bad cycle. Friday morning she's supposed to have an extra long gastric emptying scan done (6hr) and we're not going to even attempt to do it unless she's feeling better by then! Please continue to keep her (and us) in your prayers! I'm not sure how much longer I can continue to run on little to no sleep! Last night was a little rocky. Reagan fell asleep around 9:30pm but we didn't get to bed til 11:30 (bad choice)! She was sleeping in the recliner again so Mike moved her video monitor into the living room in an attempt for me to get some sleep in my own bed. But for some reason the monitor kept getting staticy (is that a word) and I just couldn't sleep with that noise in my ear, so I got up and laid on the sofa again. Well, it wasn't long before Reagan was back up. She woke at 12:30am with a wet diaper but was furious with me when I tried to change her! She just hates being put down when she's like this! Eventually she fell back asleep but it only lasted an hour or so and then she was back up again. This happened several times last night, so needless to say, neither of us got very much sleep. This morning she was moany so I was holding her over my shoulder (only minutes before the nurse walked in) and Reagan bit into my shoulder! I literally had to pull her off of me! She broke the skin again (I still have a scar on my arm from the last time she bit me) and she even tore my shirt she was clamped on so tight! I don't know what we're going to do with this girl! After that she seemed to calm down a bit...I guess she just needed to take out her frustration on me?!?!? She was surprisingly quiet most of the morning. She'd get frustrated with diaper changes, but calm down once she was picked back up. She had both OT and PT today. Her OT worked with her on the ipad for a while until she fell asleep (although that didn't last long). We finally got the positioning arm in that I ordered last month and I just LOVE it (the articulating arm from RJ Cooper). We can attach it to anything to get the ipad in just the right position for Reagan (without having to hold it ourselves). It makes it SO much easier to use the ipad! I wish I would have ordered it sooner! Then this afternoon Reagan had PT. I was amazed that she tolerated about 30min in her stander without a peep...after that she started to get a little grumpy so we took her out. Overall, it's been a much better day today. No real crying and very little moaning/fussing. She's still stressed and not happy (as demonstrated by the scowl on her face) but she's much better than she's been, so I am encouraged. Tonight she's been giving us some laughs (crazy laughs, but laughs nonetheless), so that's always a good sign. Please keep it in your prayers that we can all get some sleep tonight! We think Reagan slept last night. Although when I got up this morning she was already awake in her bed with all her covers kicked off and she was cold. I was encouraged by the fact that she wasn't crying, but she was "off". She was definitely more zoned out and doing her crazy laugh...so I knew we were in trouble. The crying started later right around noonish. There have been a lot of tears today. She's trying to bite her hands nonstop. We've been thinking about the fact that these arm restraints and gloves just aren't working for her. We're thinking maybe she needs something along the lines of a helmet (with mouth guard), so she can't bite herself or anyone else! It's pathetic that it has to come to this...but we can't just let her bite her fingers off! I think we need to talk to someone at the orthotics place about it. Reagan did take a few naps today, but they didn't last long. I'm not too hopeful about getting any sleep tonight. She's so tense, but you can tell in her eyes, she's exhausted! Please say some extra prayers for her...she's really feeling miserable right now! Reagan has had another good day today. She didn't sleep again last night, but she was happy nonetheless. I got up with her around 2am, hoping maybe I could get her to fall asleep. It didn't happen. Finally around 5am we put her in our bed and tried to get some sleep with her laying beside us. I got up at 7:15 to pick my mom up from the airport. Reagan was very happy to see her Grandma! She's been super precious today...very smiley and even some "talking"...but no naps! There was only one mishap of crying today and that was this morning when she had a dirty diaper! She is still being a little sensitive and at times her hands and feet are cold...but overall I would say it's been a good day. She went for two walks outside. She ate some bananas and tasted some icecream...although we might want to avoid icecream from now on because right away she got red spots all around her mouth. We've actually been pretty good this week about feeding her. She had something by mouth each day Wed-Sat. Now, if only we could get her to sleep!! Please keep it in your prayers that she can at least get a few hours of sleep tonight!! Our girl needs her rest! Last night we went for another walk with Reagan, but this time it did not put her to sleep. Actually, she was still awake at 11:45pm when Mike got in from the airport! She was looking a little sleepy so we put her in bed. She kept moving around but her eyes were closed, so we were hoping she'd settle down and go to sleep. I'm not sure if that ever happened. I woke up a couple times through the night only to find her awake and moving around. So maybe she kept waking up and going back to sleep or maybe she was just up the entire night. Who knows. When I got up at 7:40am, she was wide awake and squirming around in her bed (with a huge wet diaper). I'm guessing she got little if any sleep last night. On the other hand, she has been just as smiley and sweet as can be today! Super cuddly and laid back (even though her heartrate is still in the 110s-120s). This afternoon we finally took her in to get her labs done (to check her Banzel levels and liver panel since she's on so many meds now). We were going to do it last week but with the garage sale and bad days...we just never got around to it! Reagan was such a good girl! She just laid there smiling...no fussing...not even a flinch! She's a pro! Thankfully the lady got it on the first try and we were out of there in no time (probably her quickest blood draw ever)! Then this afternoon her speech therapist came. She worked with her for a while on the ipad. Then she fed her some more bananas...which she seemed to like until the last two bites...when she kept spitting them back out! I guess that means she's done!! Afterward she started looking sleepy and fell asleep shortly after her therapist left! Poor thing...she was probably tired from staying up all night!! She slept for an hour or two until the dog barked and woke her up when Mike came home. Even though she's been super sweet today, there are a few warning signs that might indicate that we're nearing the end of a good cycle. At one point today her temperature regulation seemed to be off. Her back was all sweaty and clammy then an hour later it was fine. She's also been a little more sensitive and easily startled. And she's got that strong smell to her and her wet diapers (which I still think is just the l-carnitine, it's just amplified on bad days) and a little more bitey with her hand. Hopefully I'm wrong. It's nothing. But if I'm right, I'm just hoping at least we've got another good day or two! Grandma's counting on it!!! Please keep our little princess in your prayers! Reagan had another good night's sleep last night. She fell asleep around 8:30pm during our walk and then continued to sleep the whole night. I kept thinking she was going to wake up and then be up for the night but as far as I could tell, she slept the whole night. She woke up this morning all smiles again and has been as good as gold all day! 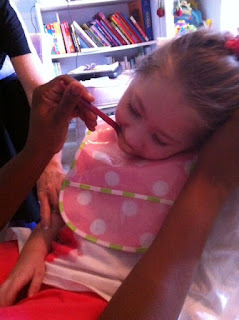 She had several therapies today...OT, Speech, & PT...and she did well for all of them. And afterward she even did an hour in the stander! She's been a busy girl today! Her heartrate was back up today. Yesterday I only gave her the propranolol once (in the am) because her heartrate was staying in the 80s-90s...although that was while she was napping. Today it's been in the 120s-130s (even while sleeping). We gave her a dose of propranolol and it never went down below 112. Tonight I gave her another dose and it went down to the high 90s-low 100s. It fluctuates a lot, so it's hard to get a good read on it (plus I don't know how well this stupid pulse ox is working). It makes me nervous because I want to give her enough to get it in the right range, but there's such a narrow window, I don't want to give her too much that it gets too low! After what happened with the methadone, I'm very leery when giving her anything! Someone mentioned on the blog how a high heartrate could actually be partially responsible for her not sleeping. Makes sense. Mike gets home late tonight (finally) from his business trip in Vegas/LA and tomorrow morning my Dad leaves. He was a great sport in coming to stay with us even though he had only been home one day from a long trip to Miami! It's been nice having him around. Since my Mom and Dad were divorced when I was little, I never spent a lot of time with my Dad. Now that he's retired, he's available to come stay with us whenever we need him. It's nice to get to spend this time together now. Bear is really going to miss my Dad. He takes him out for walks every morning when he gets back from running! Poor Bear. Grandma is coming in this weekend though, so both Reagan and Bear will get some more attention! Reagan's a bit of a wiggle worm! 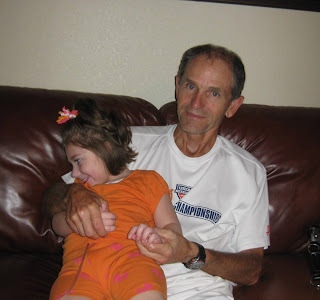 She kept sliding down my Dad's lap!! My mom cleans them by hand and then lays them out to dry like this. 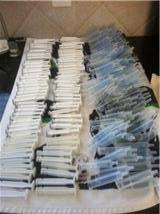 I preclean them and then put them in the dishwasher to sterilize them. 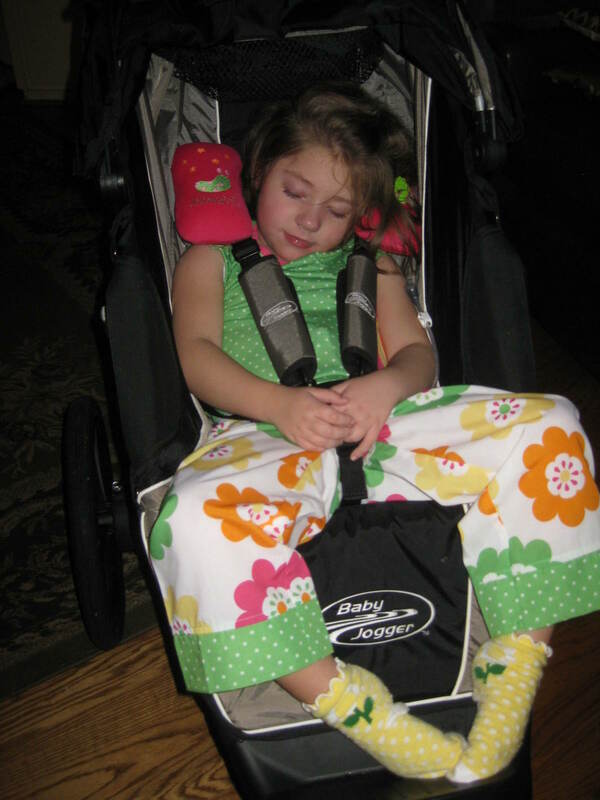 Reagan fell asleep during our walk tonight (as of now, she's still asleep)! Such a sweetie! Reagan slept last night! She slept from 10pm to 10am this morning!!! I got close to 8hrs sleep...I don't remember the last time I got that much sleep!! Reagan was only awake for 30min-1hr before falling back asleep again and then sleeping most of the day. Today was definitely her "catch up" day. We had to cancel both her therapies for today...she was out and I felt we just needed to let her sleep! Tonight she was awake from about 6pm-10pm...by far the longest awake time she had all day! Despite sleeping most of the day away, I'm hopeful she'll sleep through the night again tonight. I'm still pretty exhausted. Of course it didn't help that I rode along with my Dad this afternoon while he played golf and then had a 2hr tennis match tonight! So I'm going to cut this one short and go try to get some sleep myself!!! Thank you for all of your prayers!!! Reagan was up most of the night last night...and so were we. The worst part of it was that we were already exhausted from our garage sale yesterday and we had to get up early for the second half of the garage sale today!! On a good note...we've met some wonderful people throughout the course of these two days and were able to spread awareness about mitochondrial disease! 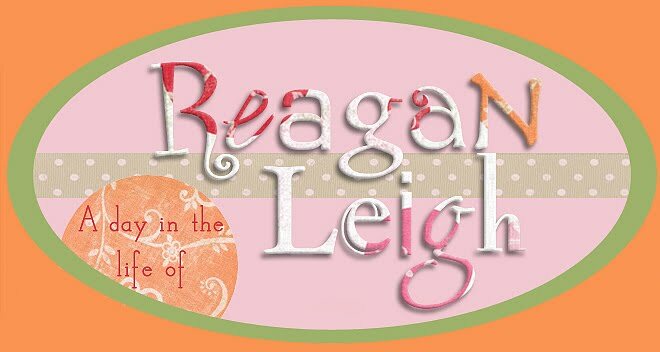 Yesterday we met a woman that is the inpatient EEG technician at Texas Children's Hospital (and I later realized that I recognized her and she recognized Reagan's picture as well). Then I met a woman whose 11yr old grandchild is special needs and still undiagnosed (and has many similarities to Reagan). I gave her all of my contact information and told her I'd be happy to talk to her daughter about mitochondrial disorder. Then another very sweet woman that lives in our neighborhood came by and we spoke with her for quite sometime about Reagan. 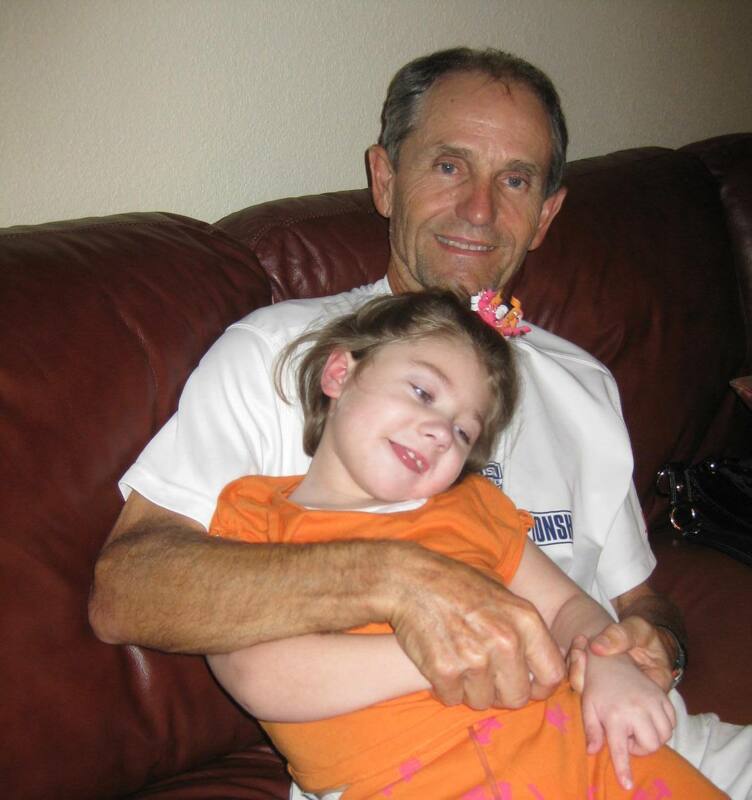 She has a 50yr old autistic brother and said she could really relate to what we were going through and would be happy to help out with Reagan anytime we need it!! We've had many people tell us they would keep Reagan in their prayers and one lady even stopped and prayed with Mike today. 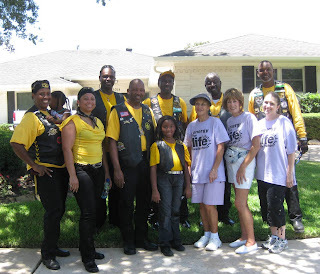 Then this afternoon one of our neighbors down the street is a member of a motorcycle club and some of them came by on their bikes and brought us a $100 donation! They were all super nice and told us they'd keep Reagan in their prayers as well! 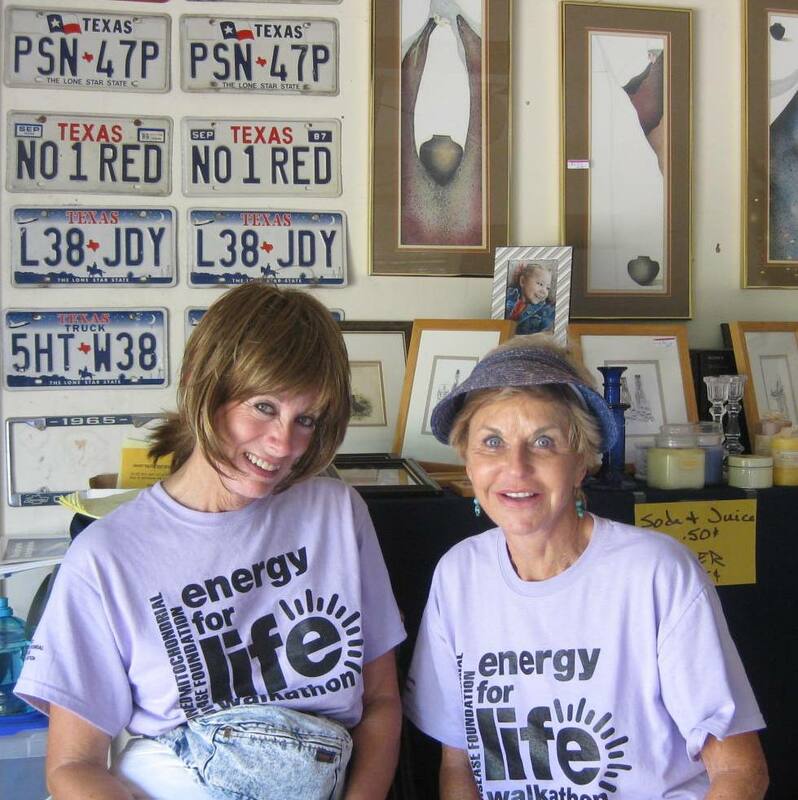 So even though it was exhausting and it was beyond HOT and humid, we met a lot of of wonderful people and raised over $700 just at our garage sale alone thanks to many generous donationed items from our great neighbors, Reagan's therapists and nurses (our neighbor Melissa had her own garage sale benefiting the UMDF as well). On the Reagan front...she's still miserable. Not crying anymore, but just very tense and serious with lots of chorea. She's about the same as yesterday...she does better in her chair by herself...when you pick her up, she gets more whiny and upset. I don't know if she's just trying to tell us how miserable she is, or what. We were actually supposed to have a nurse this morning from 6am-1pm. Of course when 6am rolled around, no one came. I get a call from the nursing agency at 6:40am saying the nurse is having car trouble! Meanwhile we're having to juggle Reagan, her morning medicines, and a garage sale all at the same time! Then around 9:30am I get another call and they say she's going to come out. The nurse (who has never been here before...and probably never will again) gets here at 10am and says that she still plans on leaving at 1pm! So even though she's 4hrs late...she's only going to stay for 3hrs!! Whatever. I'm not surprised. It was still nice to have someone to watch over Reagan, even if it was only for a couple hours. She took a decent hour plus nap today, but nothing ever since. She's pretty wired tonight. Moving, moving, moving...I can't imagine that she's going to sleep much tonight. Mike is leaving tomorrow for a business trip and thankfully my Dad has agreed to drive down and stay with us to help out! On a good note, I'll get to see my dad on Father's Day...on a bad note, Mike will be leaving us early Father's Day morning! Please continue to keep our miserable little girl in your prayers!!! Our fund raising machine neighbor Melissa and our other neighbor Jackie who is going to help us plan a golf tournament for the UMDF! Posing with our neighbor Tammy (on far left) and her motorcycle club the Buffalo Soldiers (Reagan wasn't feeling well enough to pose for a pic). It's been a crazy day! I can't tell you how many times in the last 24hrs Mike told me, "We should just cancel this garage sale!" Everything turned out well though and we made it through the day. The thing that really helped us is that Reagan slept through the night! She slept from 12:30am-6am! We were definitely surprised, especially considering the mood she was in. We woke up at 6am (to start getting ready for the garage sale) and Reagan woke minutes later (I swear she can sense it when we wake up)! She was quite fussy all morning. The nurse that was filling in for us didn't get here til 9am, so that delayed us a little in getting things started. We had a pretty good turnout and just the sales at our house totaled over $400 (our neighbor had her own sale, all proceeds benefiting the UMDF, but I'm not sure just yet how much she made). We're doing it all over again tomorrow, so that should be interesting. The heat here in Houston is unbearable. I was sweating like crazy and I'm not a sweater. Reagan spent her day in the house, either sleeping or fussing/crying. She was awake when her speech therapist arrived, after only 5min or so in her arms, Reagan was OUT (the same thing happened yesterday with the therapist). She slept soundly several hours after...we may need her speech therapist to move in with us. Ever since Reagan woke up, she's been fussing and stressed. Lots of chorea. Can't sit still for a second. When I hold her or talk to her, she actually gets more upset. She is quieter in her chair...being ignored! She's had several doses now of the Propranolol. It definitely seems to lower her heart rate...but that, in itself, can be a scary thing. This afternoon when she was so sleepy, she was due for a dose but I didn't give it to her. She was already at 90-95, I was afraid it might drop too low so I waited til she woke up to give her another dose. I don't know if that's the best way to do it, but I'm so nervous about things like this ever since the methadone incident! The nurse we had today, although nice, just isn't the best fit for us. I'm not sure if she fully understood everything I was telling her (as English is not her first language) and I'm not sure about everything she told me. For instance, I forewarned her that Reagan sometimes holds her breath when she cries (then she saw it first hand, me blowing in Reagan's face to get her to breathe again). Then later she mentioned to me that while Reagan was sleeping, she stopped breathing, her sats/heart rate dropped and she was turning blue. She blew in her face and she woke back up and was fine (but fussy). Maybe that's exactly what happened. Who knows. I've just never seen Reagan do that while sleeping...ever. It's definitely a little concerning. 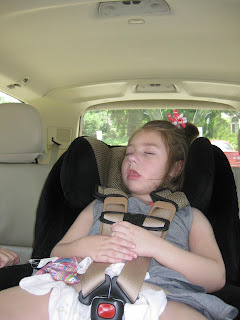 Reagan fell asleep around 10pm about 30min after her Propranolol...time for us to follow suit! Tomorrow, Day 2 of the garage sale! It's another late post. It's going to be a looooong night! As I type this (on my cell phone), Reagan is on my lap crying! It's been a day of crying, laughing, serious, sleeping, & biting! And lots of stress as I try to prepare to do a garage sale on my own!!! Needless to say, many things did not get done today. Very few items are priced and some aren't even unpacked yet!!! Oh well. There's nothing I can do about it now!!! At least Reagan did have a better night's sleep last night. She slept from 12-6. When she woke up, she had a scowl on her face, that's been there most of the day! We did get the occasional laugh out of her, but it was more of a crazy laugh! It's been a crazy day! She bit her right hand (she usually bites her left) twice!!! Ugh. I don't know what to do with this girl!! We did start both the Zantac and Propranolol today. Her heartrate went from a resting rate of 120-140 to 85-95.I'm wondering if it's also helping her to relax a little and fall asleep. Wouldn't hat be nice? Well it's 12:45 and she's asleep, time to see if I can transfer her into her bed. Wish me luck and please keep us all in your prayers!!! Today has been a waste of a day. Well, not a complete waste. I did get to spend a lot of one on one time with my princess, but I didn't get a thing done for the rapidly approaching garage sale. Our nurse was a no show today. I won't go into detail, but we have been experiencing some nursing drama lately. Thank God for Teri, our loyal and very dependable Mon/Tues-Thurs/Fri nurse. Teri is actually leaving us tomorrow night to attend the Mitochondrial conference in Chicago. As a scientist (and a mom), I am very jealous! I did buy her a hand held recorder to take with her to record all the lectures she attends. 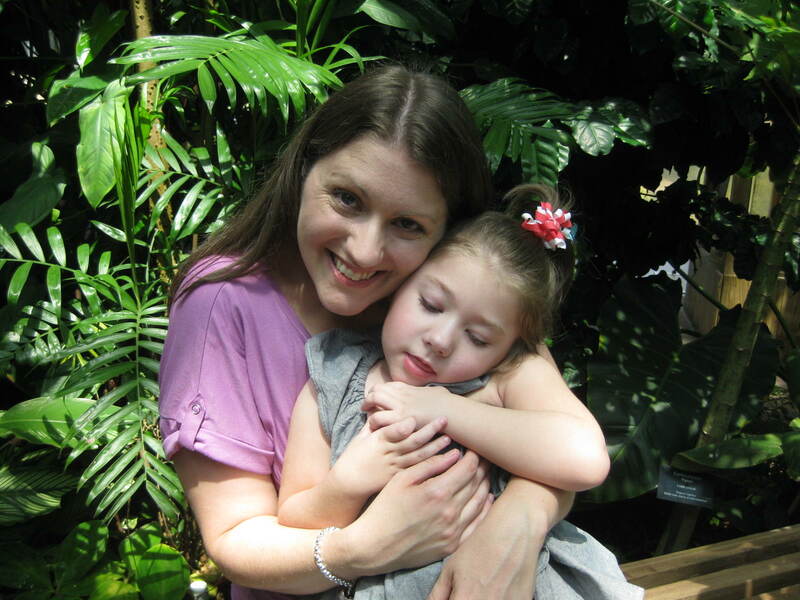 Our friend from Kansas (who brought her little boy, Abe, to Houston to see the mitochondrial doctor here) is also going...specifically to attend the Informational Session on Edison Pharma EPI-743 Drug Development Status. This is an experimental drug (the only drug I know of) that is being trialed on children with mitochondrial disease. Just this week they dropped the requirement that you have to have a genetic diagnosis to get into the study. That has peaked many parent's interests and hopes of getting their children into the study. Our mitochondrial doctor suggested that both Reagan and Abe try to get into this study, so I spent most of the day yesterday trying to get Reagan's medical records over to the study coordinator at Stanford. The only catch...another requirement of the study is that the patient be "near end of life" (90 days). The problem with mito kids is one day they're fine and the next day they're "near death". Their health can change at the drop of a hat. "Near death" is a very subjective term and I think different doctors interpret it differently. Abe's mom actually spoke with the study coordinator at Stanford who told her that the majority of kids in their study are actually quite healthy (at the moment) and not living in the hospital or anything that you would typically associate with "end of life" requirements. So that does give me some hope. Maybe Reagan (and Abe) will make it through the screening process and get accepted to this drug trial. What a blessing that would be!!! Please keep this in your prayers!!!! On the Reagan front, she had another good day today. She did sleep last night although I'm not positive how much. We think she slept most of the night. She had OT and speech today and both went very well. I even broke out the baby food and fed her, although that's not really a one person job. She kept knocking the bowl out of my hands and getting food on her hand, then in her hair! You really have to hold her hands down (which is hard to do with only one person). I wouldn't say she's crazy about eating (and she never eats that much), but she goes along with it and although she makes quite the mess, she does get some down. She's been a sweet girl again today but I'm a little nervous because her hands and feet are a little clammy tonight. Hopefully the good days continue at least another day or two because as of now we don't even have a nurse to work on Friday (the day of the garage sale)! Please continue to keep her in your prayers! I'm pretty sure Reagan slept some last night. She was awake, then asleep, then awake, then asleep. I woke up at 3am and she was moving around but when I got up at 5am to take Grandma to the airport, Reagan was back asleep. When I got home from the airport around 6:15am, Reagan was in bed with Daddy and she was wide awake and smiling! So much for Mommy getting more sleep! She's been a sweet heart again today. Lots of smiles and lots of gas (but no dirty diapers...we're still waiting on that one)! We haven't made any medication changes just yet. I was waiting to hear back from her neurologist before starting the propranolol, but that can be a process so I think we're going to start it tomorrow morning (when we can keep a close eye on her heart rate). She has been a little startley (is that a word). Just a little over sensitive, closing her eyes/wincing for some unknown reason. I'm not sure what that's about. Meanwhile, I'm trying to get things together for a garage sale. 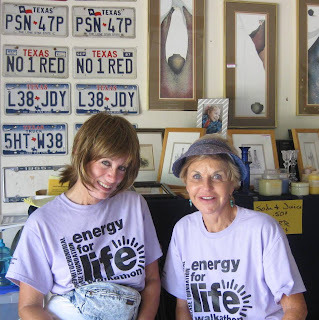 We're having a garage sale this Friday/Saturday with all proceeds going toward the United Mitochondrial Foundation (and our 2012 Rallying for Reagan walkathon team). It's part of my strategy to start raising funds much earlier this year, so we can surpass our last year's fund raising efforts of $11,000!!! A lot of that is thanks to our wonderful neighbor, Melissa. She raised over $4000 on her own! She went door to door, to businesses, even to her own doctor's appts (she herself has cancer)...raising money for OUR cause! She's amazing! So with the help of Melissa, we're going to attempt to pull off this garage sale (even though my mom can't make it this weekend). I haven't gotten much accomplished, but we do have a lot of stuff (I just need to sort through it all). 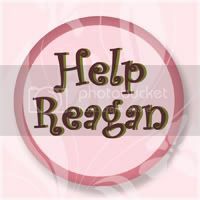 Hopefully all goes well, Reagan behaves, and we're able to raise some money for the UMDF! Reagan has been a real sweetie again today. Last night I think she got a little more sleep than the night before. She was awake when I woke up at 5 (not sure when she actually woke up), but she was back asleep when I got up at 6:45am, and then she slept in til 10am!! Mike and I left early for the medical center for our meeting with the special needs pediatrician. We got there about 15min early and he arrived about 15min late! He did take his time though and we were able discuss all of our concerns. He doesn't necessarily think further testing is going to reveal anything, although he said an EEG (during a good and bad episode might be helpful just to rule out anything seizure related). He does think we need to find some way to treat her symptoms though and try to make her more comfortable. He said that we can continue to try to sort these things out at home or we can admit her for a 2 week period and try multiple medicines (or combinations of medicines) to try to give her some relief. He also mentioed that Hospice is an option for us. Despite the negative connotations with that word, hospice is now offered to children that are not in an "end of life" situation but just need pain management in a home setting. So that's another thing for us to think about. He agrees that it seems Reagan's major problem during her "bad" episodes is some sort of dysautonomia...where her autonomic nervous system goes a little haywire. He mentioned a couple of medicines that actually treat dysautonomia...the first choice is Propranolol. It's a beta blocker usually used to treat the heart but also used to treat migraines and dysautonomia. It lowers blood pressure and slows the heart rate (which is a welcome side effect because Reagan has a much higher heartrate than she should). Another option is to try Lyrica. It's a newer version of Neurontin, which didn't really do anything for Reagan, but it's still worth a try. We also mentioned the fact that it seems her reflux gets worse during her bad cycles. She gets an acidic smell to her breath and her poor little lips get all cracked up and peel. He suggested maybe giving her Zantac during her bad episodes (to the Zantac she's already taking) to try to neutralize any acid that might be coming back up. So for now I think we're going to try the Zantac and the Propranolol. So at least we have a plan of action...for now. Hopefully we'll see some improvement from these new meds. Reagan was still a little groggy today. She was only awake for 30min or so before she dozed back off this morning. Eventually she did wake up and she was all smiles once more! She's been a sweetie...I love these good days! Why can't they all be good days?!?! We've got to get this mess figured out for her sake...and ours. Thank you for your continued prayers! Reagan continued to sleep all day and into the night last night...that is, until 3am. We woke at 3am to her making noises. I got up, changed her soaked diaper, and then put her in our bed hoping she'd fall back to sleep. That was NOT happening. She was wide awake, smiling away, moving and making noises, there was no way she was going to sleep or allow me to sleep. She was happy so I put her back in her bed and I went back to sleep. As far as I know, she never did. She's been super sweet all day today. All smiles...just precious. She hung out with Daddy today while Grandma and I went shopping. She was a such a good girl. She took one cat nap, but other than that she's been awake all day today. Tonight the yawns set in and she fell asleep in my arms around 10pm. Hopefully that means she'll get some sleep tonight. I'm still feeling the effects of more than a week of sleep deprivation, so I can use all the sleep I can get. Tomorrow morning Mike and I are meeting with the special needs pediatrician. Please pray that we have enough time to discuss everything and that we can come up with a good game plan to help our sweet girl! Reagan slept!!! Yeah!!!! She was OUT. I don't think she moved a muscle all night! Not only did she sleep all night but she slept pretty much the entire day today. This morning I picked up Grandma from the airport...but little miss sunshine was fast asleep. All day we kept checking in on her but she was out cold! Every now and then she'd stretch but immediately she'd fall back asleep. She does this cute thing when she's sleeping...she makes a sucking noise. Like she's drinking a bottle...only not. I think she's actually sucking on her tongue. It's too cute (see video below), but it can be quite loud. Around 3pm I went in her room and found her laying there eyes open. I scooped her up and took her into the living room where she was smiling at me and then wanted to fall back asleep. I kept trying to get her to stay awake (because Grandma was on her way back from the grocery store and hadn't seen her awake all day). When my mom walked in and spoke to her, it was the cutest thing I've ever seen. Her eyes were so wide and her smile so big...there's no doubt about it...this girl LOVES her Grandma!!! She started getting groggy again, so I laid her on the bed beside Grandma and they both fell asleep. About 15min later my mom came out and said she couldn't sleep because of all the noise Reagan was making (the sucking). She's been sleeping ever since. Today was definitely her catch up day! Hopefully she'll wake up and we'll get to spend some time with our happy girl tomorrow!!! Last night, as I sat awake with Reagan the entire night, I thought about how her sleep has really deteriorated lately. I printed out a calendar and using the blog, I mapped out her sleep over the last month. In the month of May, she had 15 "bad" sleep nights (where she either was up the entire night or only slept in small 15-30min increments), 4 "off" sleep nights (where she slept anywhere from 2-4 consecutive hours), and 12 "good" sleep nights (where she slept 5 or more consecutive hours). I was shocked to see that half of the month she wasn't sleeping at all! I knew we were all sleep deprived, but when you think about those statistics, it's pretty mind blowing. How does she function like this? 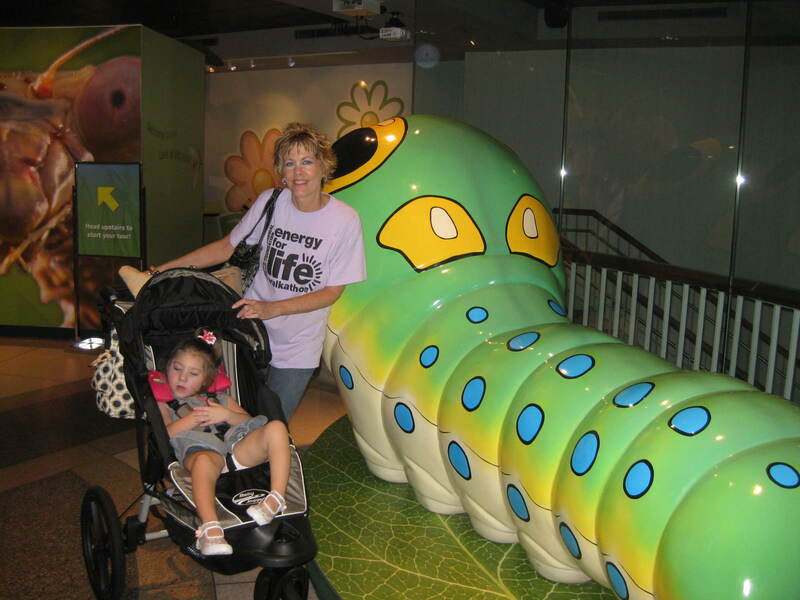 How does a child with mitochondrial disease survive on no sleep? I don't really know the answer to that. This is just one of many of concerns we will bring up to the special needs pediatrician when we meet with him Monday morning. 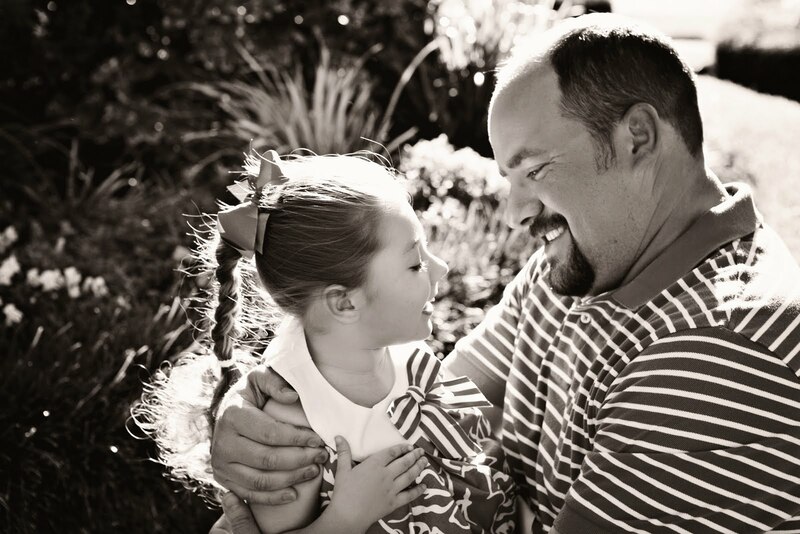 Today Reagan had an appt with the pulmonologist/sleep doctor and she is really at a loss. Everything we've tried to help Reagan with sleep, she's failed. We came up with two potential options...try Lyrica (something used primarily to treat fibromyalgia) or try Toradol (the pain medication she used in the hospital right after her g-tube surgery). Both are for pain...Lyrica is more for a neurological sort of pain (similar to Neurontin) and Toradol is more of a super strength ibuprofen for a real pain. We increased Neurontin until it was pretty much at the maximum dose and it didn't really seem to help. We're currently in the process of weaning her off of it (I'm glad because it did seem to make her twitchy). I'm not sure which med we'll try first...we definitely will discuss this Monday as well. Other than those two options...the sleep doctor is completely out of ideas. Once again Reagan has proven resistant to all mainstream medications. But it's not all bad. Today Reagan is improved. She's much more content...even happy. We've gotten smiles and laughs. But she's still recovering. She's still having a lot of chorea and she's been super spitty and gaggy today. Tonight around 8:30pm she passed out cold. She's been sleeping ever since and hasn't moved a muscle. Poor girl. I know how she feels. Now it's my turn!!! Thank you for your prayers! Reagan was up again last night. Ugh. When will this ever end!?!?! Overall yesterday she was pretty mellow/zoned out but as soon as nightfall hit, she got crazy again. Fussing, screaming, trying to bite herself. She was a maniac! Mike sat up with her for a couple hours so I could at least get a little sleep. Then I was up from 2:15am-10am with her (her nurse had a doctors appt and came in late). She continued to be crazy til 4ish and then finally calmed down a little. She was still not content, but at least she wasn't crying anymore. She started getting nauseous this morning (usually a sign that the bad days are almost over). At first she was just coughing/gagging but not throwing up, but as the day went on, she had several foamy throw ups. Her hands are still like wet icicles and her body is hot and sweaty. She's been pretty mellow most of the day, but this afternoon she started having quite a bit of chorea, making it hard for her to stay still. She's still doing the occasional fussing, but hopefully it won't escalate to where it was last night. This has been a particularly difficult bad cycle. She's had awful days and NO sleep! It's really wearing on all of us. I'm praying that she'll be able to fall asleep tonight...otherwise I'm in for another long one! Please keep her in your prayers. Come on good days!!!! Last night was yet another long one. 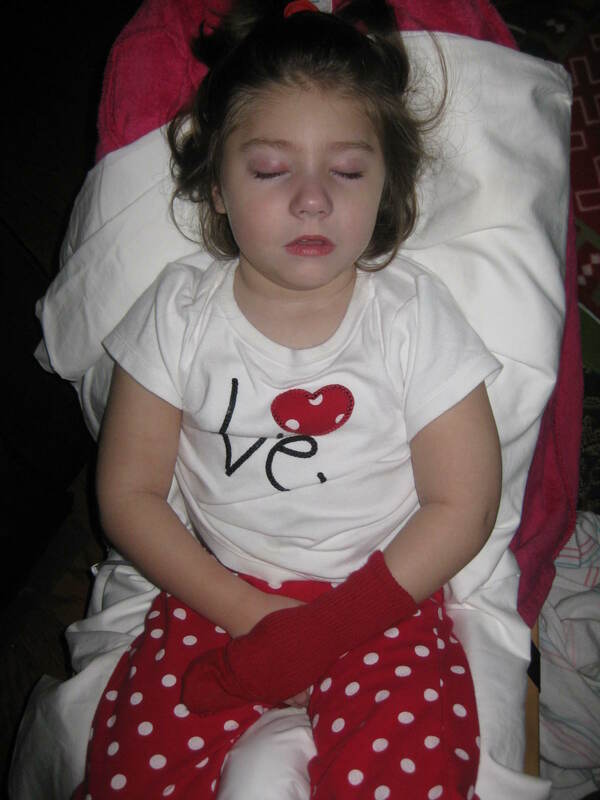 Reagan fell asleep for a little while sitting up in her chair, but when we tried to move her to her bed, she woke immediately. She fell back to sleep and I just rolled her in her chair into our bedroom. She slept til 1am and then woke up but was quiet. At 2am, she started to get fussy again so she and I went back into the living room where we spent the rest of our night. She dozed here and there for short 10-15min periods but overall she was awake...and fussy. So much for calming down, she was back to holding her breath, screaming, and trying to bite both me and herself. It was very frustrating, especially considering I'm going on days of next to no sleep! Then this morning we had a new nurse (who worked with Reagan 6 months ago), so I didn't feel comfortable leaving her alone to take a nap since Reagan was still being a turkey. So, no sleep for me. I'm definitely running on empty now. Reagan has mellowed out some today. She's doing more staring off into space than fussing. You can tell she's exhausted (we've both got circles under our eyes), but other than a short cat nap, she hasn't slept at all today. She's also been very foamy. She's gagged a few times, but it's hard to tell if it's nausea or her just choking on her spit. The distinct "bad day smell" is very strong today and her hands are even more cold and clammy than ever. But she seems to be going for her hand a little less than yesterday and last night. Mike thought she was in the clear and took her arm restraint off and was just holding her left hand...so she bit her right hand! She showed him! I guess the fact that she's not screaming is a step in the right direction, although we've still got a looooong way to go to good days, that's for sure! Now if only we could get her to sleep already!!!! Please continue to keep her in your prayers!! Last night was another loooooong one. Reagan slept from 9pm-1am but when she woke at 1, she was pretty much up for the night. She'd doze here and there but I was only able to lay her down once for 15min, so I really got no sleep whatsoever last night (I've got some serious bags under my eyes to show for it). I took 2 naps today, but it's just not the same as getting a good 4-6 hrs in a row. Forget 8! I don't even remember the last time I got 8hrs of sleep. It's been a while. Reagan just has not been sleeping well lately. Even on her good days, she's not sleeping well. That makes it tough on all of us. We never really have a chance to recover from those bad days. The fussiness has continued today. She has a constant scowl on her face and she's moaning or fussing when she's awake. Put her down to change her diaper and she starts crying her breath away! Lots of fun! Yesterday I spoke with the special needs pediatrician's nurse and told her all of my concerns. Yes, this is the same doctor that overdosed Reagan...but it's also the only doctor she has that wants to and has the experience to help her. I think we're going to make an appt to go in and talk to him about all of this and hopefully get to the bottom of things for our little one. Tonight she's been a little more laid back. She was content to just sit in her brown chair but if you spoke to her, touched her, or even looked at her, she'd get irritated. It's 10pm and she's dozing off a little. If she goes to sleep...I'm getting to bed ASAP! Please continue to keep her in your prayers! I was up again all night with our miserable girl. She'd doze off and on, but not enough to put her in her bed (although her brown chair worked for short periods of time). When she's restless like that, she sleeps better in my arms, allowing me to shush and get her back to sleep when she wakes. It was a long night. I only slept 30min here and there on the sofa. I did however get a couple hours of sleep once Reagan's nurse came in this morning. She's still very fussy today. Not screaming crying anymore, more moany/whiney. Her whine reminds me of the high pitched sound a tea pot makes when it's boiling. Yeah, imagine having that in your ear for long periods of time! That alone is enough to drive you crazy. Then add in the fact that she's kicking and flailing and clawing/pinching (lay her down to change her diaper and she gets even more irate)...she's a piece of work. Tonight she hit me in the nose and cut me. I didn't realize it until I felt something wet in my nose and reached up and it was blood! Nice. Hopefully tomorrow will be a better day. I'll take just slightly better. Really any improvement would be appreciated. Tonight she dozed off around 9pm. I'm wondering if this is just a short term thing (and she's going to wake in an hour or so and be up the entire night) or if she's really out for good. That would be nice. Please keep her in your prayers!!! It's been a tough one for our girl. She woke up last night screaming crying and was up and down all night/day. When she's awake, she's not just crying, she's screaming. Blood curdling screams. Holding her breath, turning purple. It's horrible. It's obvious that she's in pain, but we (and every doctor she's ever seen) have no idea how to help her. We have decided that this is just too much. We can't sit here and watch her suffer like this. Right now about half of her days are "bad" days and that's just not acceptable. I'm going to talk to her doctor and the next time she starts a bad cycle like this, we're admitting her (and ourselves, really). But they need to have a plan. What labs to take, what tests to run...we're not going to just sit in a hospital room for the fun of it. It's ridiculous that she should have to suffer like this. And it's ridiculous that none of her doctors (one in particular, but I'm not naming names) have never done anything to help her! We HAVE to figure out what is bothering her during these bad cycles! Forget trying to medicate her or sedate her to just to get through these days...we need to figure out WHY she's having these days. Even if we can't prevent it, I feel like we still need to know why. The issue is really getting her in one Day 1 of her bad streak. We need it to fall early in the week, like a Monday or Tuesday (Sunday is too early). 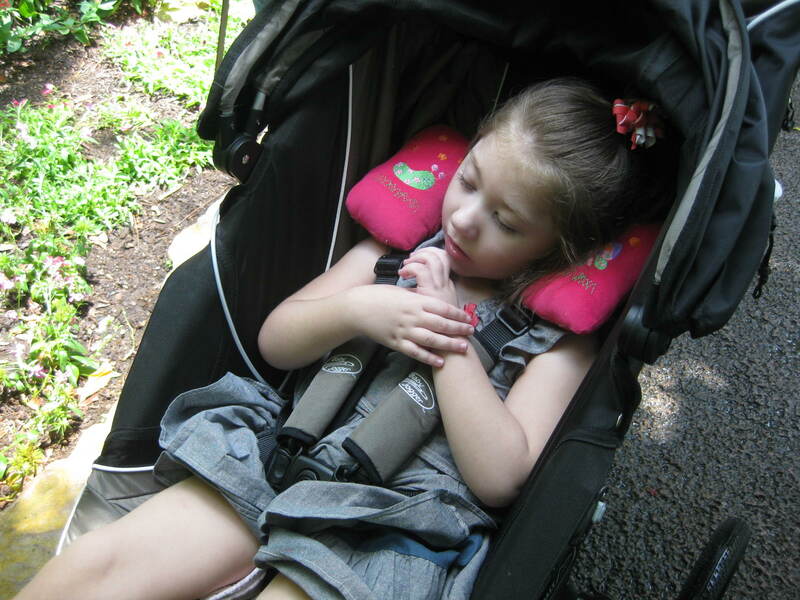 We want them to see what she's like (and run tests) on every day of her bad cycle. Everyone knows hospitals shut down on weekends, so if she starts a cycle late in the week, they won't see the other days. So based on the fact that today was her first "real" bad day, I'm guessing her next cycle might fall late in the week, so it may be another couple weeks before we can get her in. That will at least give us some time to get with her doctor and come up with a real game plan for our girl. She's still pretty miserable. Thankfully she's slept most of the day today. She's cried that screeching cry so much that she's getting hoarse. We gave her Lortab twice today to try to get her back to sleep.The weird thing, her hands and feet aren't really clammy today (certainly not to the degree that they were yesterday). She's really been changing things up lately...she's a little hard to read. I'm just hoping tomorrow will be at least slightly better. And I hope we can all at least get some sleep tonight. Please keep us all in your prayers!!! *On a side note...when I was up with Reagan last night I heard something coming from our spare bedroom. I turned on the light and there was water dripping from the ceiling! A pipe had sprung a leak and it had already saturated a good section of ceiling and was now dripping down onto the floor! Mike was able to fix it on his own in the morning, but not without first putting his hand through the sheet rock...twice! Now we have two rather big holes through the sheetrock & insulation. So now we have to pay to have someone repair that damage. Just our luck! Sleep has not been great for our girl lately. We're not sure if Reagan slept at all last night. Everytime we woke up and looked at the monitor, she was awake. She wasn't fussy at all, she just laid there wide awake. She's been in a great mood though. Lots of smiles and a couple laughs...she was definitely happy to see her Grandma this morning! 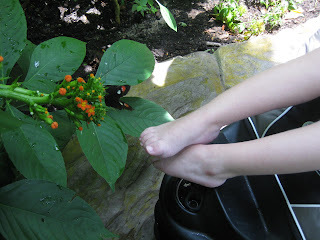 And even though her feet/hands were a little cold and a little clammy, she stayed very mellow and happy all day. She never dozed once. It wasn't until tonight that you could finally tell she was tired. As she was falling asleep, she was very restless. She even cried out a few times, I think she was just finally so exhausted she couldn't take it anymore. Her body eventually gave in and she fell alseep beside Grandma. I'm just hoping it will last and she'll get some much needed rest tonight. Please keep her in your prayers! I'm not sure how much Reagan slept last night. I woke at 1am and saw that she was awake. I'm assuming she fell back to sleep, but who knows. I woke up at 6am and saw her moving around. I put her in bed with us but she never fell back to sleep. She seemed to be in a good mood this morning so we got started early with medicines and headed to the museum around 11am. It wasn't overly crowded (until later on), but in the butterfly center it got a little sticky at times. The kids weren't the problem...it was the parents/older people loitering in the middle of the walkways that kept blocking us from getting by. It was hot and humid so we didn't stay in there too long because Reagan has a tendency to overheat (although we did go back again later). I think Reagan enjoyed it, but it was hard to tell how well she actually "saw" the butterflies because they weren't able to get too close to her (b/c of the stroller). The closest encounter was when one landed on her hair bow (which of course she couldn't see), I think he thought it was a flower. I wasn't quick enough with the camera to get the pic. 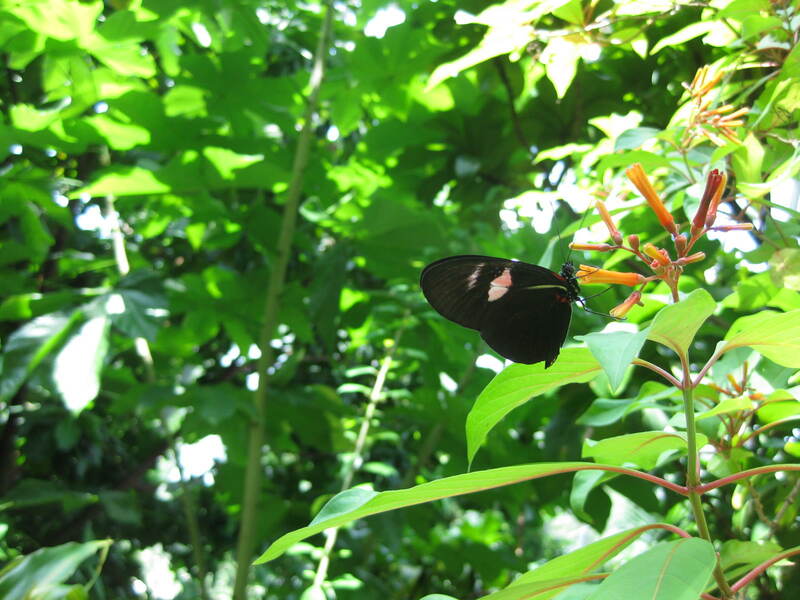 It was not an easy task to get the butterflies to show in the pictures...but we got a couple pics. Then we went to the planetarium. I think Reagan enjoyed that the most. I could see her really watching it and following stars/galaxies from one side of the screen to the other as they whooshed by. I've decided we need a planetarium screen at home for her. It's perfect...no matter where she looks (or if she's looking down), she can still see what's being projected on the screen! 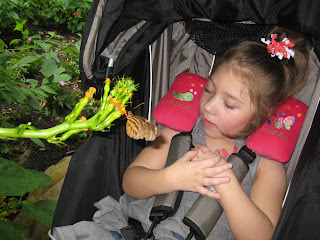 We made one more trip back to the butterfly center and then went through the gift shop. I got Reagan a little bean bag butterfly and butterfly ball. By the time I finished checking out, she was out cold. She didn't sleep long but overall she's been very mellow and a little groggy today. I'm hoping she holds out and gives us another couple good days because Grandma is flying in tomorrow for the weekend and can hardly wait to see her! Reagan was up early again this morning. She woke us at 5am making noises in her bed. I got up with her at 5:30am and she's been up ever since! No naps today! This morning her mood was a little questionable. When Mike got up and came over to talk to her, we saw her make the pouty face like she was about to cry. She recovered, but continued to make some unhappy sounds here and there, making me worry that we were in for a fit or two today. We decided it might be best to wait it out at home and try for the Butterfly center/planetarium tomorrow if all is well. Needless to say she snapped out of it and ended up having a pretty good day (in retrospect, we should have gone)! Since we were at home, her Speech therapist came at noon today and fed Reagan. That's right Grandma, someone finally fed your starving child!!! I was at my allergy appt, but from what I hear she did great! She didn't gobble it up, but she did seem to like it and her therapist seemed impressed with the whole process, so that's a good thing. She had PT from 2-3pm. At the end of PT her therapist put on her AFOs and put her in her stander where she stood for an hour during "school". Today was her last day of "school". I was glad to hear that her wonderful teacher will be working with her again next year. I love this lady. Too bad we only have her for 1hr twice a week (which is typical for homebound services). It will be nice to cut back on her schedule during the summer. Yesterday's five therapies in one day was a little ridiculous. Hopefully Reagan will cut us some slack...sleep well tonight and have a good day tomorrow so we can get out of the house for some fun (before all the germ infested kids take it over for the summer)! Wish us luck!!! Sleep last night was a little better for all of us. I can't remember when exactly Reagan woke up (I remember hearing her "talking"), but I think she slept most of the night. She did have a big stinky diaper (the first of three) and was probably ready for us to get up and change her already! She's been super precious today. She had 5, that's right, 5 therapies today! That sets a new record! She had vision (10am), speech-school (12pm), speech-private (1pm), OT (2pm), Teacher/school (3pm). It was CRAZY! She did so well though. I wasn't sure if she was going to make it at first. She fell asleep right after vision and we actually had to wake her up for her first speech at noon. She woke up happy and somehow managed to make it through the rest of her crazy day. Tonight she fell asleep on her own at 10:30pm...hopefully that means she's down for the night! Tomorrow we're planning on going to the Cockrell Butterfly Center and Burke Baker Planetarium at the Houston Museum of Science. Reagan has never been and I'm hoping she likes it. I'll definitely take the camera! I need to get some more pics of her with her sassy new haircut!